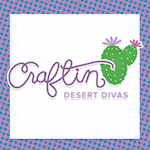 Craftin Desert Divas Blog: 2 Christmas Giveaways!! First of I want to say that I feel that I have been MIA lately. So, I wanted to give you a couple of updates on my life. We have just started to look for a new home. 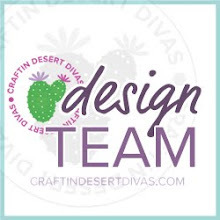 We will be staying in the same area and hope to be moved by February(might be wishful thinking on my part).With this in mind I have been working on getting my design teams and hop projects done. Also my oldest daughter Alivia's birthday is on December 25th, so we are going to be celebrating her birthday this Saturday. I did make all her invitations and will share them shortly. This week I'm going to make some goody bags for all the guest that will attend her party. Along with all of this I can't believe Christmas is just a few weeks away!! I hope to return to my normal posting after the holidays. I'm in the Christmas giving mood!!! So I have TWO Christmas giveaways. 3. Second entry by posting about my giveaway or displaying my giveaway on your blog, come back and leave a comment that you did. The winners will be chosen by Random.org and this is open to US & Canadian residents only due to shipping cost. I'll announce the winner on 12/16. Awesome giveaways! Good luck with the house hunting! Congratulations! I'll watch for your posts. Have fun! Awesome giveaways. I am now a follower. Such a wonderful giveaway. Thanks so much for the chance. I'm an old follower and I've just linked you giveaway to my blog sidebar. Best of luck on the house hunting and move! Sounds like a lot of work! I am already a follower here, and thank you for the chance at your prizes! I'm a follower! Sounds like a busy time for you. Good luck with the house hunting! I am a follower. My sons birthday is one of several December birthdays in my family so I understand how busy you are!! Thanks for the giveaway! I am a follower and have your blinkie on my blog. your blog makes me smile. a nice giveaway also. Thanks for a chance - I also have a very small candy up - come join in. I have this in my sidebar too! Super giveaway. I love all the candy falling down your page wall, so cute. I am a follower. I posted your giveaway on my blog!! Thank You! Wow, congrats on making the guest designer and I am sure you will be having fun looking for a new home! Thanks for the chance to win! What a great giveaway. I'm a long time follower of your blog! congrats on the Guest DT! What exciting news. Already a follower. Thanks for the chance at some yummy candy. Congratulations on your guest designer spot. No wonder you're excited. I've been a follower and subscriber for some time.Thanks for the chance to win some great candy. Posted on my blog about your giveaway. Whoee! 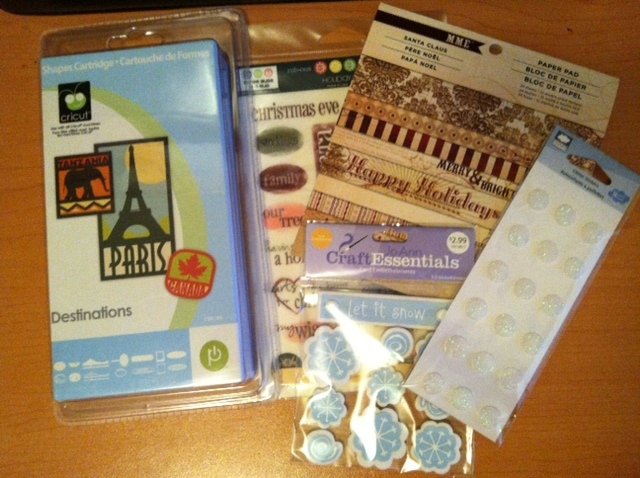 Thrilled for you on getting a spot as guest designer on Scrappy Moms Stamps Blog! i don't have a craft blog, but i shared on facebook, google+ and twitter if that helps you any! and i've been a follower for a while. Thanks for the chance to win! Very kind and generous giveaways. Thanks for the opportunity to win. Wow! I love how you guys have deorated the blog for Christmas! Soooo cute! congrats on your guest post! I know you will hit it out of the park!! Both giveaway are super, I would love to win either of those babies. I am a follower. And congrats on being a guest designer on the Scrappy Mom's Stamps blog! Fabulous news - congrats on your GD for next year:-) have a great week and holiday season. Wow....Gr8 giveaways with gr8 news....Already a follower of you...Posted the candy pic in my blog's sidebar.....Will love to win this awesome candy...Wishing a very Happy B'day in advance to ur daughter...!! Congrats everyone! You guys are going to be great!! 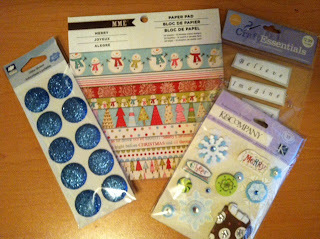 A big good luck on the house hunting, a super congrats on the guest designer post and a great thanks for the giveaways. I am a follower too. love your blog...follow your blog and share your giveaway on my blog. So glad to have the opportunity to meet so many great people out in blog land!!! Thanks for lending a listening ear my crafty friend. Best wishes on your house search! Congrats for being a guest designer coming up in June...it will be here before we know it! Good luck on the house hunt!!! And great giveaways my friend. Thank you for the chance!! !